This past week I had a few days off and I spent them being super productive. I did a lot of painting and here is one of the projects I was able to finish. 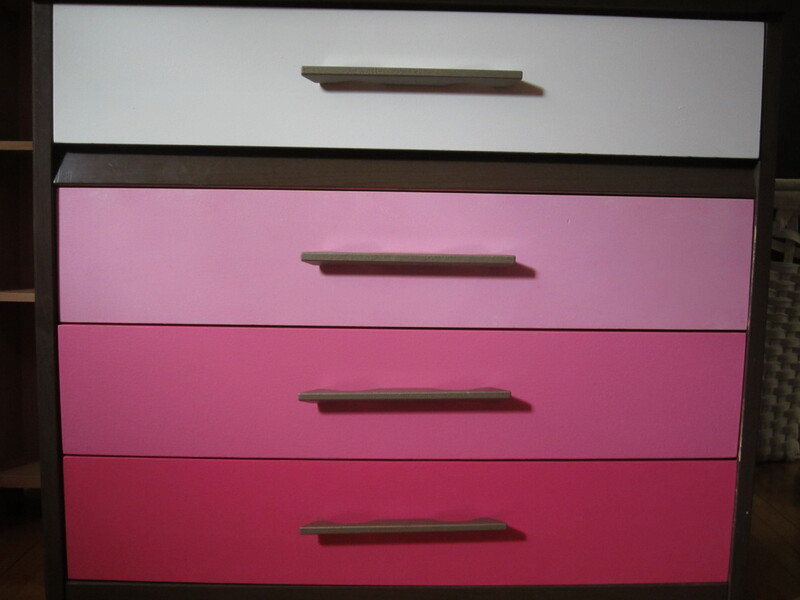 I had been wanting to paint L’s dresser for some time because it was old, brown, and boring. We inherited this dresser (and 2 others just like it) from my parents when we moved into the house 5.5 years ago. 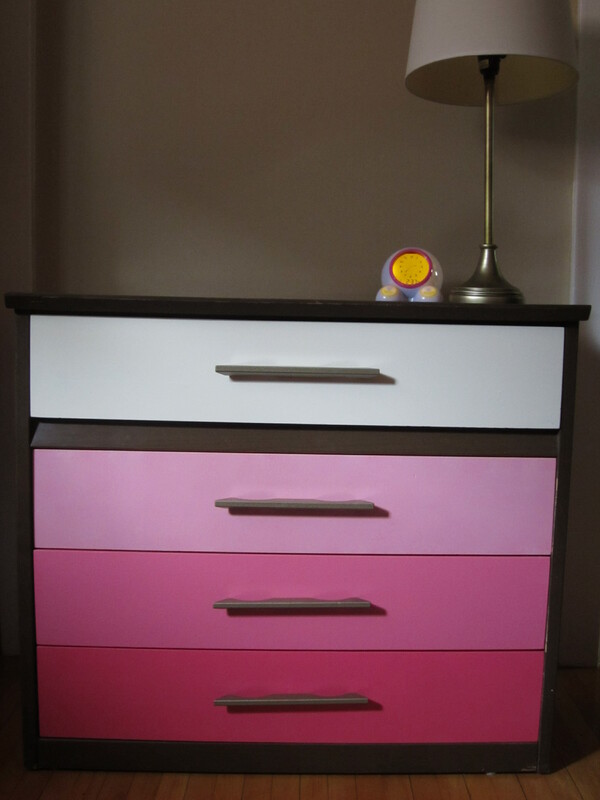 I decided to jazz this one up with a pink ombre paint treatment and gold spray painted handles. 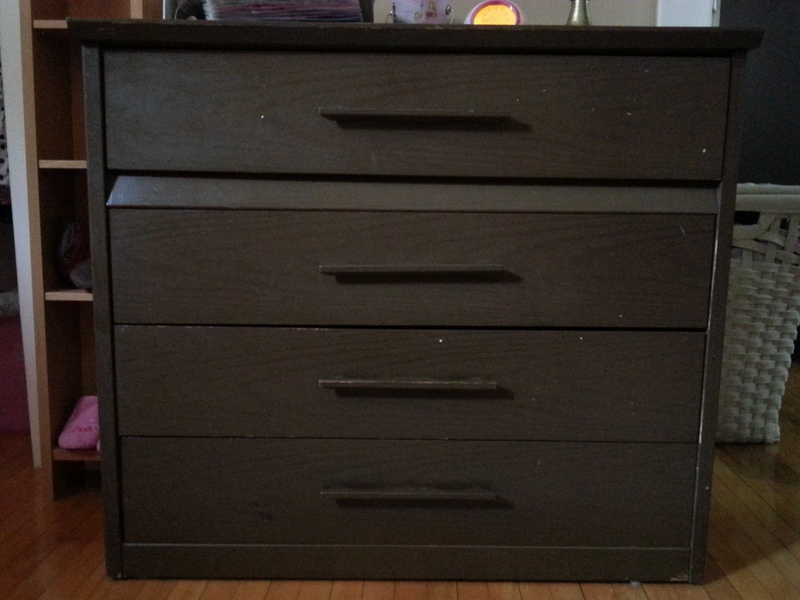 Much cheaper than a new dresser! I think I can honestly say this is my favourite project to date! I can’t wait to finish up the rest of the updates I have planned for L’s room! I looove it! Great job! Thanks! I’ve got a few other painted furniture projects I’m excited to share!